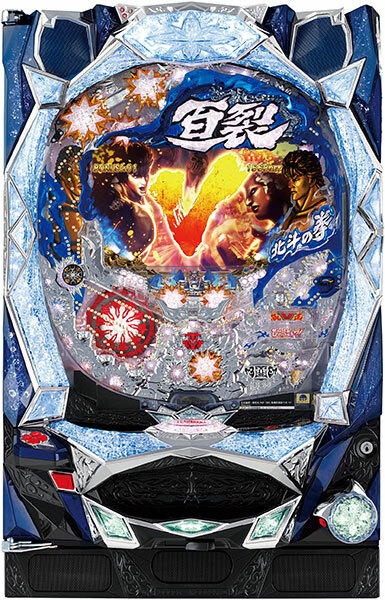 The latest pachinko machine based on the popular manga “Fist of the North Star” will come out soon. With many scenes with action that cannot be found outside of Fist of the North Star, it will be fun for beginners and die-hard fans alike! Also, the machine is equipped with a clock to produce animations according to the time of day!! Once an hour something will happen!! Play as Kenshiro in a Pachinko world where Raoh, who goes under the alias Ken-oh, aerial combat specialist Toki, and other allies and enemies are all mixed together! !